Chris Walker explains why he continues to run and raise funds for various causes. Chris ran a lot as a teenager, and considers himself a good runner back then. “Now I consider myself an adequate jogger,” he says. Nevertheless, he took on the challenge of a half marathon, signing up for the Medibank Melbourne Marathon Festival with a bunch of mates to push himself to get back into running form. "Once you’re into a run, it’s quite freeing and the endorphins start running, so you feel good." Running has become particularly challenging for Chris since becoming a father – but the experience has changed his view on so many parts of his life. “I think running is a good way to support a cause because it’s about endurance." His love for his daughter has also made Chris more aware of all the underprivileged kids in the world, especially those living in times of crisis. Because of this, he is running to raise money for the Red Cross, for the global charity’s asylum seeker and Syrian crisis funds. “The Red Cross appeals to me because it’s about people helping people,” he says. “I think running is a good way to support a cause because it’s about endurance. With something like the Red Cross, the people you’re supporting are enduring enormous hardships. Find out more about the Red Cross. 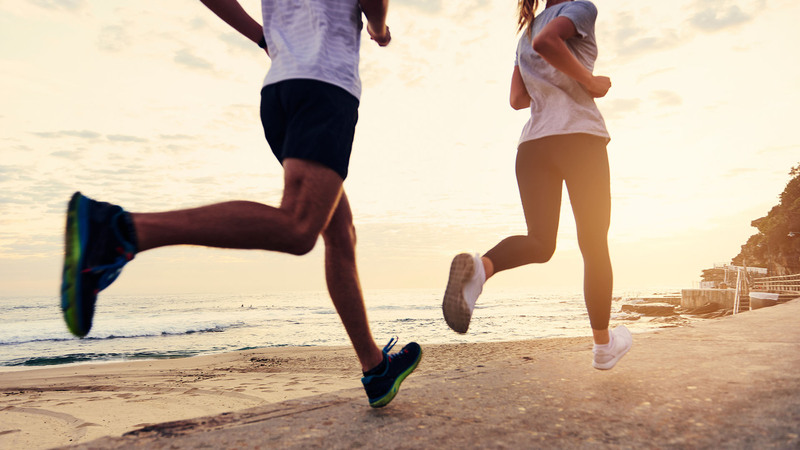 Set your goal and go for it – Medibank is proud to sponsor a range of running events across Australia, encouraging everyone to get out there and have a go.